The Explorer political is a 30cm globe which features striking cartography in either political or physical form. It features raised relief on the landmasses giving a tactile indication of the location of the world's mountain ranges. 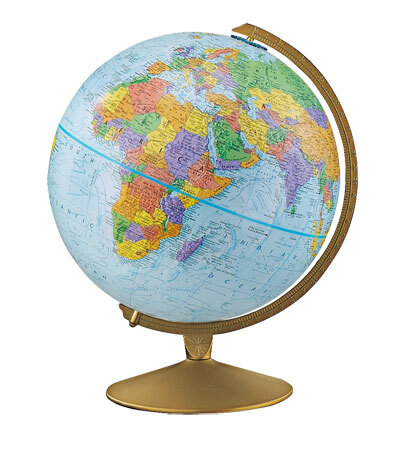 With over 4000 pieces of information, this globe is suitable for advanced geographic study. The ocean mapping shows the direction of the major current which is useful for an understanding of climatology and meteorology. 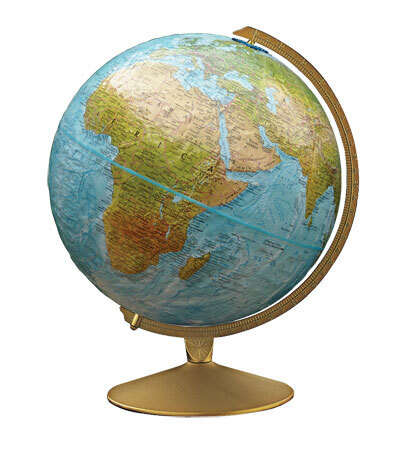 The globe ball is mounted on a sturdy metal base and graduated meridian. Assembled in the UK using recycled and recyclable materials and is supplied with an information booklet suitable for use as teacher notes.